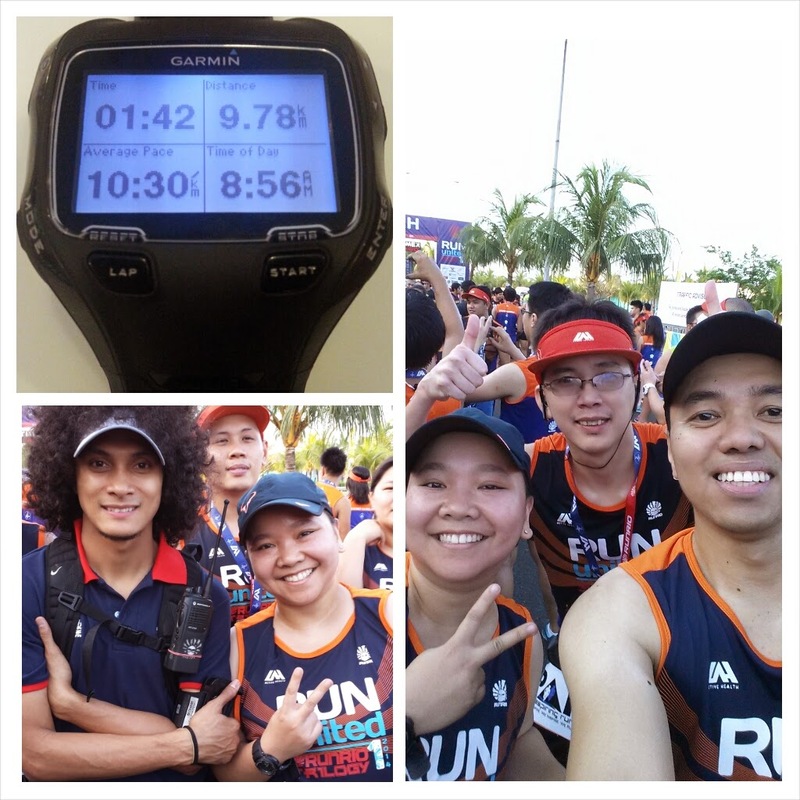 I planned to join the 21K but because I wasn't able to register early (the 21K slots were sold out in just about 3 days), I decided to run the 10K instead. I was really disappointed not being able to run in the 21K category as I wanted to collect that United Trilogy medal, but on the brighter side, I got to run together with my wife side by side from the start to the finish line! It was Irish' first 10k run. We decided to run slow with the run-walk strategy. We ran continously from the start until the 2km mark then alternately ran for 500 meters and walked for about 300 meters. We completed the race in 1hr 43minutes. I can no longer complete the United Medal this year but this running experience with my wife is definitely more precious, memorable and fulfilling.